Our passion has been the production of the some the highest quality goat cheeses available anywhere. We’ve watched domestic cheese production increase in both quantity and quality and are excited about the prospects for the future of the industry. Nevertheless, too few producers are able to avoid the loss in quality that comes from growth and the use of purchased milk, something that we never use here. 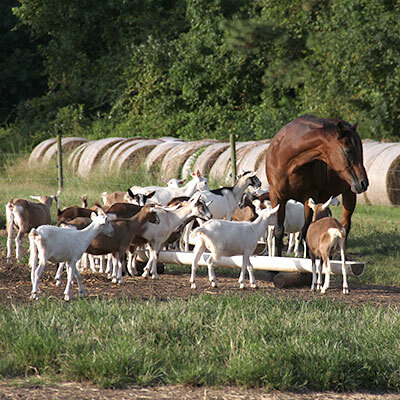 As a farmstead and woman-owned operation, we use only the milk from our own herd of goats. Fresh milk is pumped from one room to the next, never trucked from location to location. Everything that goes into the making of our cheeses happens here and only here, a difference that can be seen and tasted in each of our cheeses. Whether you’re a current or prospective customer, please take some time to learn more about our operation and our cheeses. Thank you, and we hope you enjoy our cheeses as much as we enjoy making them. 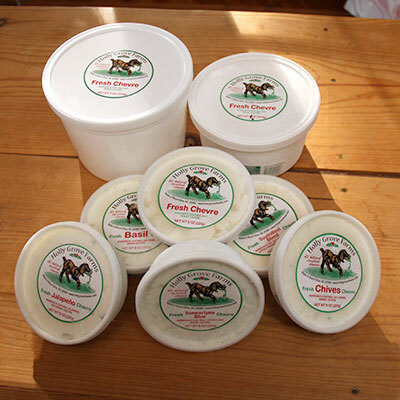 Fresh, creamy chevre packed in 1/2 pound and 4 pound tubs, and 20 pound boxes for ease and convenience. The creamy texture and mild flavor of this spreadable cheese comes in several flavors: Fresh Chèvre, Basil, SouthWest Blend, Chives, Summertyme Blue, and Jalapeno. Or Fresh Chevre is a light-textured goat cheese that is similar to cream cheese but softer and fluffier – and with 1/3rd less fat and calories. Try our chevre with crusty bread and crackers. Or warm it in the oven for a baked goat cheese salad. We have approximately 1,000 dairy goats, each with a distinctive personality. Holly Grove Farms is one of the largest farmstead and woman-owned goat dairies in the United States. We raise milking goats and make cheese from their milk on the farm. 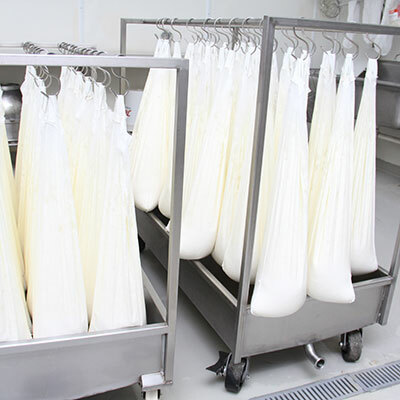 This way, we manage every aspect of the outstanding taste of our cheeses. Our herd of Alpines, Saanens, and Toggenburg are separated by age. The mature goats are milked twice a day, at 6am and 4:30pm. 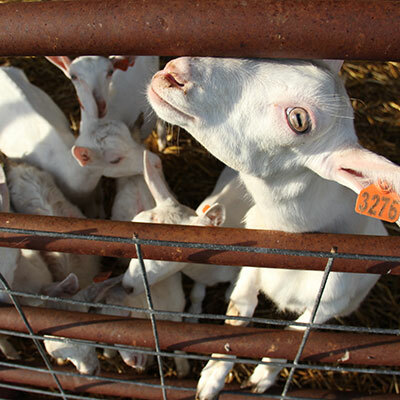 Each goat will produce three-quarter of a gallon of milk a day. That amount of milk makes around one pound of cheese. The mature and younger females graze during the day on our 40 acres. You will see them clambering on hay bales and feed bins when you visit our farm. They will retire to the loafing barns in inclement weather. We begin breeding in fall, and babies arrive from late January to May. 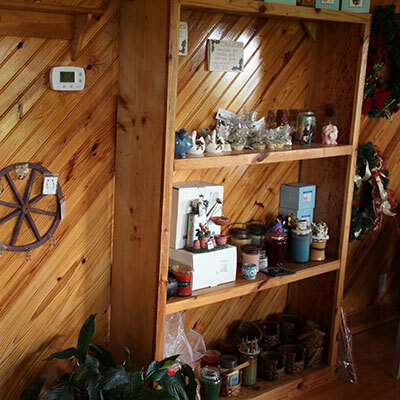 Our Gift Shop is located right in the middle of the farmstead. 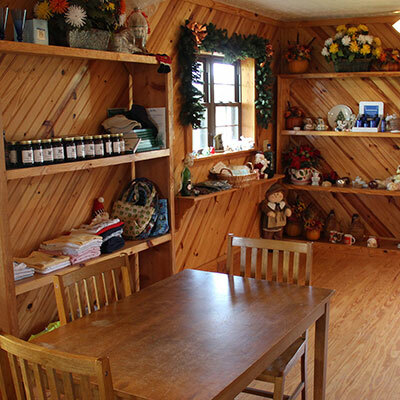 Come visit our farm and spend some time in the Gift Shop. We offer free samples, so you can find out which cheese flavor is your favorite. The Gift Shop is open each Saturday from 9am to 6pm. If you’d like to see the inner workings of the farm and dairy operation, you’re welcome to request a tour by appointment only. Feel free to send us a note through our Contact Us form. 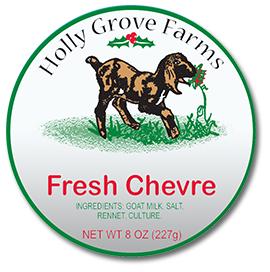 Three generations of the Craig family have now been involved with breeding goats, milking goats, and making goat cheese at Holly Grove Farm. 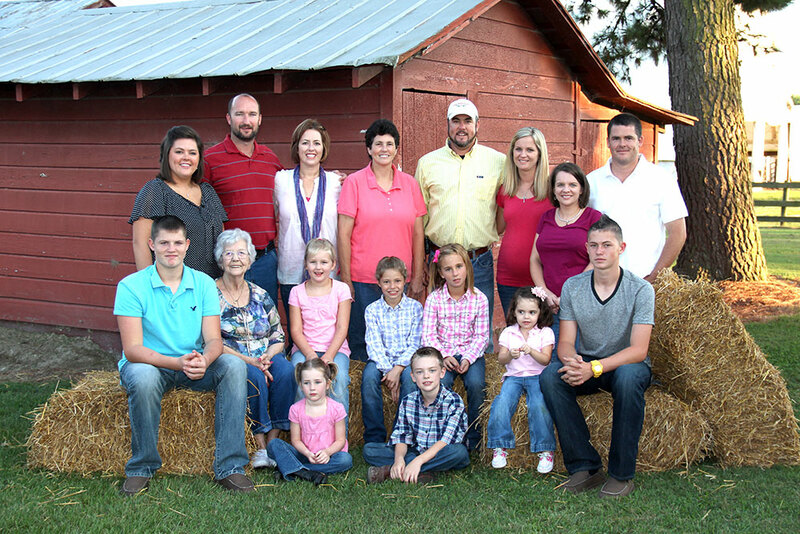 Founded by the late Ron Craig and his wife Debbie, Holly Grove Farms is located in the quaint rural Grantham community near Goldsboro and Mount Olive, NC. With the loss of her husband in 2009, Holly Grove Farm became one of only a handful a woman-owned, family-run goat farms and goat creameries in the United States. With the help of her children and grandchildren, Debbie has taken the legacy and vision that Ron so proudly started into avenues the family had never contemplated before. The family is blessed with four children and nine grandchildren.